This is a short note on a quick morning project, wrapping a web app within a Chrome packaged app. 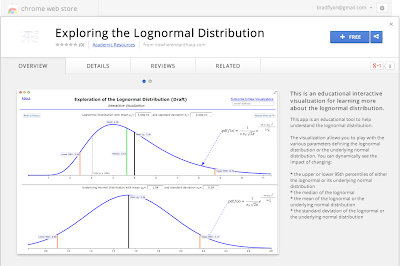 The app itself is for exploring the lognormal distribution, and is described here. The app is freshly on the Chrome app store here. 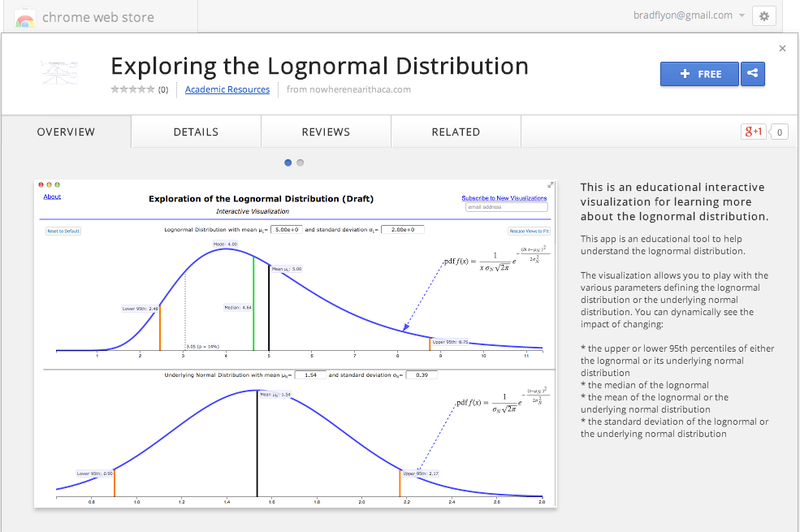 In the web app, I had referenced the cdn for MathJax, but you can't do this in a Chrome packaged app. Instead, you have to include all of your needed libraries with the app. This is a bit of a pain with MathJax, since the default download for MathJax is huge (~120MB!). Note that getting MathJax is easy on a Mac/*nix via bower: just type bower install MathJax at the commandline. I roughly followed this post on the MathJax guthub wiki to help decide which things I could definitely strip out of the MathJax directory. Then I checked via ChromeDev tools to see what it was really being used to strip out other stuff. It boiled down to keeping about 3MB of files, and I'm sure another pass or two would get it down further. I used those particular dimensions of 1280x800 because that's one of the sizes for the required screenshot, and this simplifies creating it for the purpose of this little project. Google requires an icon and small image as well before you can publish your app. One of the next steps is to now wrap this packaged app inside a PhoneGap app so that it can run on mobile devices. I have done this once before for another web app, as described here. This will certainly force the issue on some design tweaks.